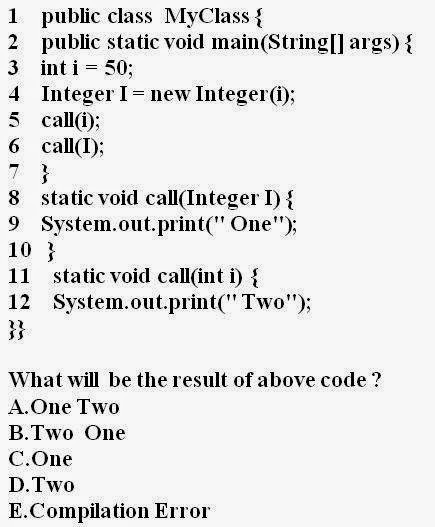 What will be the output of following java program ? Option A is correct, call(i) will go to call(int i) method as i is primitive data type. call(I) will go to call(Integer I) method as I is an reference variable. Match case's always have the higher priority. How do I prepare for the OCPJP 7 exam? Java Material : Every java lover must have.